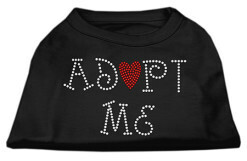 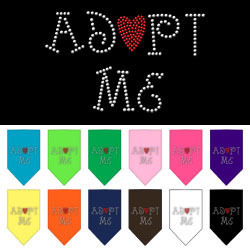 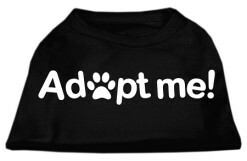 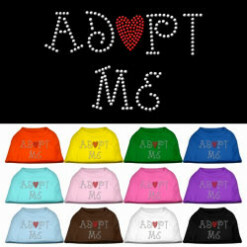 Give your dog a stylish look with this adorable novelty bandana for dogs featuring the rhinestone embellished text “Adopt Me”. 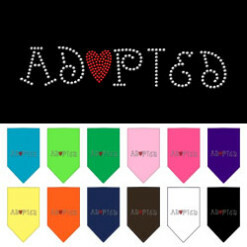 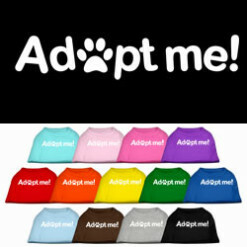 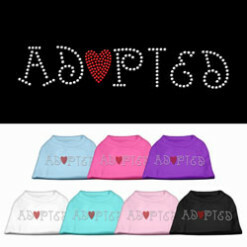 This bandana also features a heart that’s displayed prominently in the center of the word “adopt” in place of the “o”. 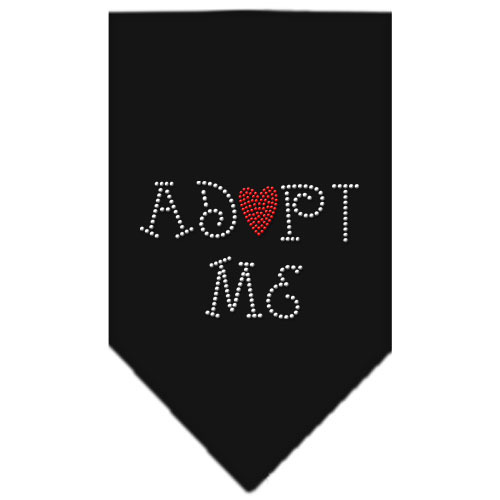 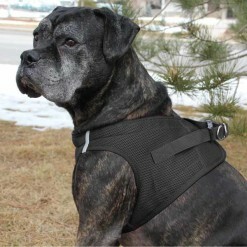 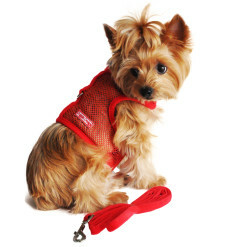 This bandana makes an adorable accessory for pets you’re looking to put up for adoption.